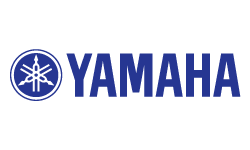 The Yamaha P-45 is the lowest-cost, 88-note, weighted-keyboard digital piano that Yamaha offers. This digital piano has a basic set of features, ideal for the needs of the beginner piano student. - GHS weighted action is heavier in the low end and lighter in the high end, just like an acoustic piano. Available until 11 PM (EST) today. Mention special code 20B-JCPF when you call.